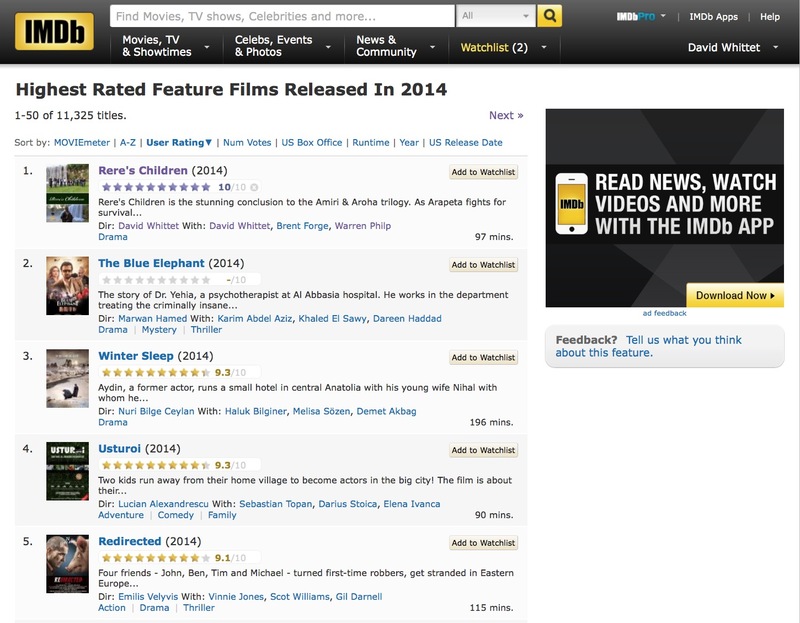 Rere's Children the highest rated film released in 2014 on IMDb! Rere’s Children has launched on the Internet Movie Data Base and today is the highest rated feature film released in 2014 in the World! Sincere thanks to all who have enjoyed the movie at its premiere and voted us into this extraordinarily prestigious position!